Look! It's The Trinity Killer, a.k.a. Arthur Mitchell! 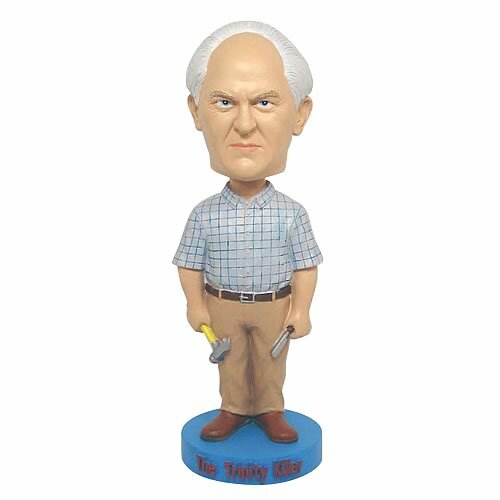 The violent sociopath from Showtime's all-the-rage series Dexter is all yours in this awesome 7-inch tall resin bobble head. Take pity on this poor fellow and bring him into your home… if you dare! He makes a terrific companion piece to the other Dexter bobble heads from Bif Bang Pow! (sold separately). Pre-order yours today! Don't invite him to cook dinner! 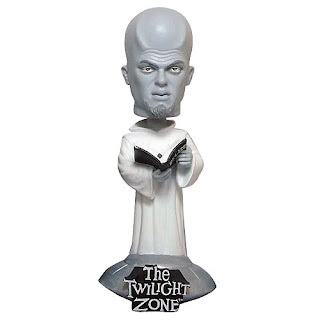 Pre-order our newest bobble head, Kanamit, based on The Twilight Zone's rather disturbing "To Serve Man" episode from 1962. Kanamit, a considerably covert character set on adding mankind to his menu of delectable dishes stands 7-inches tall with his "cook book" on a matching themed base. Buy him, admire him, but don't invite him to cook dinner! 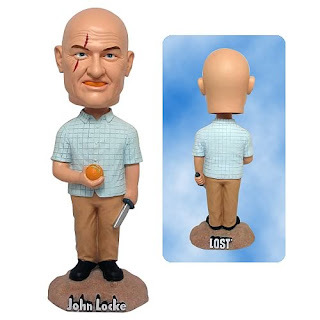 Pre-order the newest bobble head from our Lost line today!